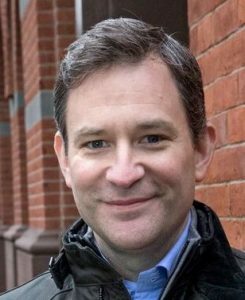 Dan Harris and Joseph Goldstein – An Evening of Conversation – THIS PROGRAM IS FULL. For wait list, see below. Join ABC News anchor Dan Harris and renowned meditation teacher Joseph Goldstein for a special event celebrating the 5th anniversary of Dan’s landmark book 10% Happier. Enjoy their conversation, a guided meditation and the chance to ask them questions! Everyone is welcome. Dan and Joseph met over a decade ago, when Dan began his meditation practice. They’ve since collaborated on the 10% Happier app, which is helping thousands to experience the remarkable benefits of meditation. This benefit is made possible through the generosity of Dan and Joseph and will be recorded for podcast by 10% Happier. All proceeds benefit the Cambridge Insight Meditation Center (CIMC) and the Insight Meditation Society (IMS) in Barre, MA which offer meditation teachings and retreats that give rise to greater peace and happiness in the world. Registration includes a copy of either Dan’s book, 10% Happier, or Joseph’s book, Mindfulness: A Practical Guide to Awakening. Dan Harris is an Emmy Award-winning journalist and the co-anchor of ABC's Nightline and the weekend editions of Good Morning America. He is the author of two New York Times best sellers, 10% Happier and Meditation for Fidgety Skeptics, and went on to launch the 10% Happier podcast and app. Dan lives in New York City with his wife, Bianca, their son, Alexander, and three ASPCA cats. 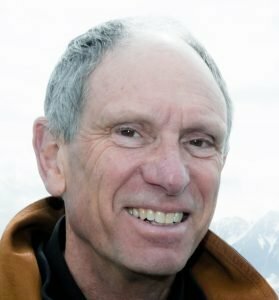 Joseph Goldstein is one of the most respected meditation teachers in the West. Together with Sharon Salzberg and Jack Kornfield, he co-founded IMS, which opened its doors in 1976. Since then, thousands of people from around the world have participated in its retreats, learning from skilled mindfulness and lovingkindness meditation teachers. Joseph is the author of Mindfulness: A Practical Guide to Awakening, One Dharma: The Emerging Western Buddhism and other titles.